Government of Andhra Pradesh recently declared EAMCET 2012 Result. 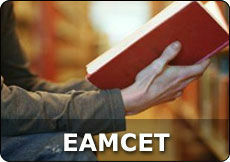 EAMCET 2012 Counselling will be started as Per the EAMCET 2012 Counselling Schedule which will be on 20th to 27th July 2012. Qualified candidates in EAMCET 2012 have to attend for web counseling as per the schedule to be given by the APSCHE / JNTU Hyderabad. Before preparing for counselling know the colleges and know the colleges allotted for the same rank in previous year counselling data . Grade the colleges and make your priority list. Wait for the counselling dates by the AP EAMCET Board which provide the Eamcet counselling centers and there help line numbers, follow the instructions carefully. You need to pay some amount after entering into HLC to register there at the counter. You will be allowed to sit at a hall and wait untill they announce your number. After that you need to go to the verification counter where they will ask your original certificates. After the verification they will give you the list of allotment certifates verified and then you need to attend the web counseling demo class after that you need to collect the slip of verification. Keep them in safe place and dont loose them. Along with that they will give you Manual entry option list. In which you need to enter you colleges along with their code according to their priority. Then generate password and that must be secured safely or else your options can be stolen or can be misguided. You will be provided a declaration click there then you will be provided districts, click on the district of your choice in which all the colleges in that district wll be appeared. Click on the colleges of your priority arrange them in its priority wise. After 2 to 3 days, if you want to add the college in your priority list then log on to apeamcet.nic.in before the scheduled date and you can change. According to the priority and the rank EAMCET board will allot a college from your priority list. At the said date download your allotment order only if you’re satisfied with the college or else wait for 2nd counselling to conduct. Don’t pay the fee in the college until unless you are satisfied with the allotted college, Once you have paid the money it is not refundable. Take the right decision before making the priority list.